His heart can’t resist this time –on September 3 at age 54 died the miraculous mountain of muscle actor Michael Clarke Duncan. Duncan suffered the myocardial infarction on July and never fully recovered. He spends his last days at Cedars-Sinai Medical Center in Los Angeles where he was being treated for a heart attack. 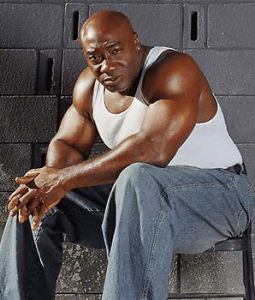 Michael Clarke Duncan was born in Chicago in 1957 and was raised by a single mother whose resistance to his playing football led to his deciding he wanted to become an actor. At the time his mother became ill, he dropped out of college and worked as a ditch digger and bouncer to support her. Being 6-foot-5, 325-pound Duncan previously worked as a bodyguard for Will Smith, Jamie Foxx and Brooklyn rapper Christopher Wallace. He turned to acting in his 30 years old. In 1998, he debuted with his first significant movie part, playing Bear in the film “Armageddon”. According to the Internet Movie Database, Duncan had two completed projects that have yet to be released on a nationwide basis. He is slated to appear in “The Challenger,” a boxing movie written and directed by Kent Moran. He will also appear in the Robert Townsend film, “In the Hive,” about an alternative school for boys who have been kicked out of other schools.